Every now and then I'll treat myself and order French Onion Soup at a restaurant. I love the broth, but the melted cheese is my favorite part, without a doubt. I love when they use so much cheese that it melts all over the outside of the crock - you can't leave that cheese there! But let's be honest, it's not the healthiest soup. 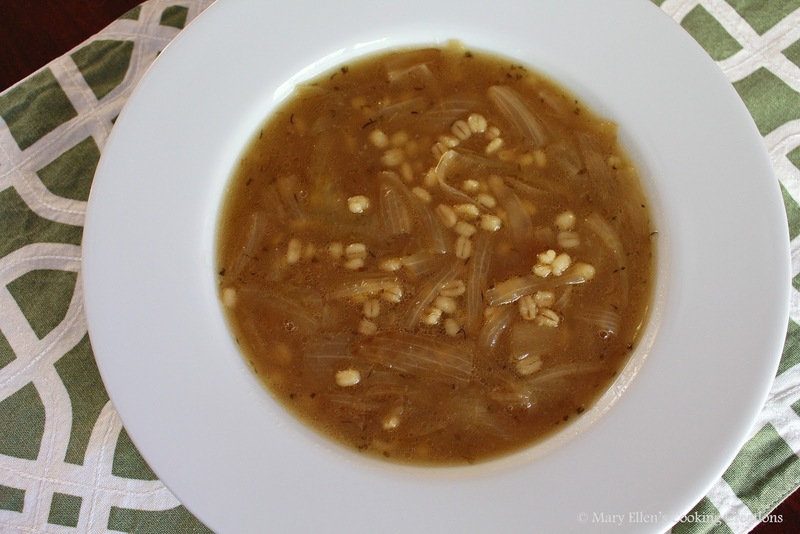 The soup I made a few weeks ago brings all the flavor of that rich French Onion broth even though it has a chicken stock base. And instead of a hunk of bread and lots of melted cheese, the barley adds some texture, flavor, and is good for you. 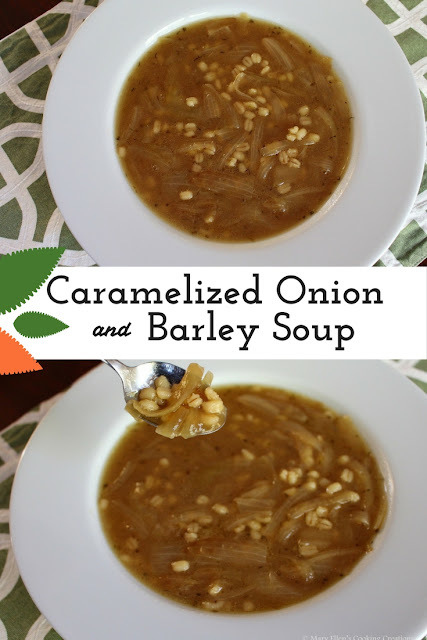 This recipe was adapted from an onion soup I made a few years ago. 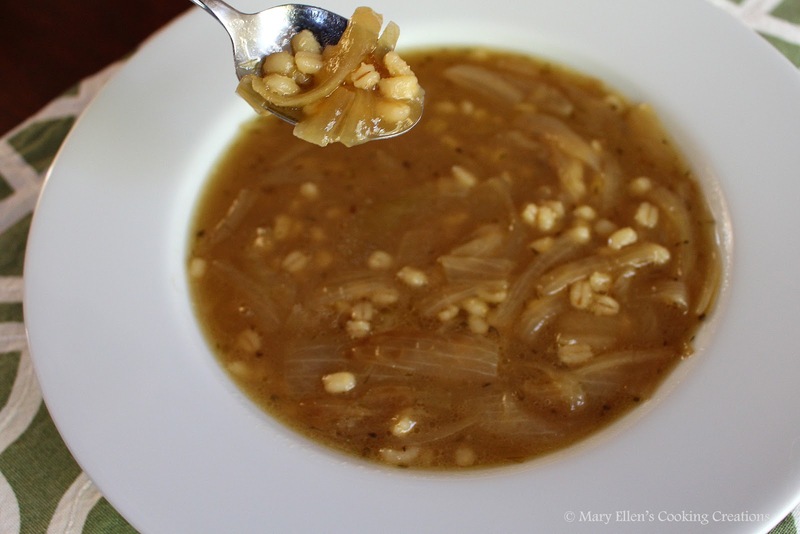 I added a few things for a richer flavor and turned it into a healthy soup to satisfy the French Onion cravings without the guilt. Add the onions and a pinch of sugar (low to medium heat) and cook 30-45 minutes, stirring every few minutes, until they are a deep golden brown color. Be careful not to fry them - if they start to crisp at all, turn down your heat. Once the onions are completely caramelized, add the wine. Stir, scraping up all of the brown bits. Add the thyme, broth, salt, pepper (to taste) and barley. Bring to a boil and then simmer, covered, 30 minutes. Remove the lid and continue to simmer on low for 30 minutes to allow the broth to reduce slightly.